Go Dramatic with Charcoal Walls | mrs. and the misc. When we bought our house, my dining room and study were one long, formal sitting room. 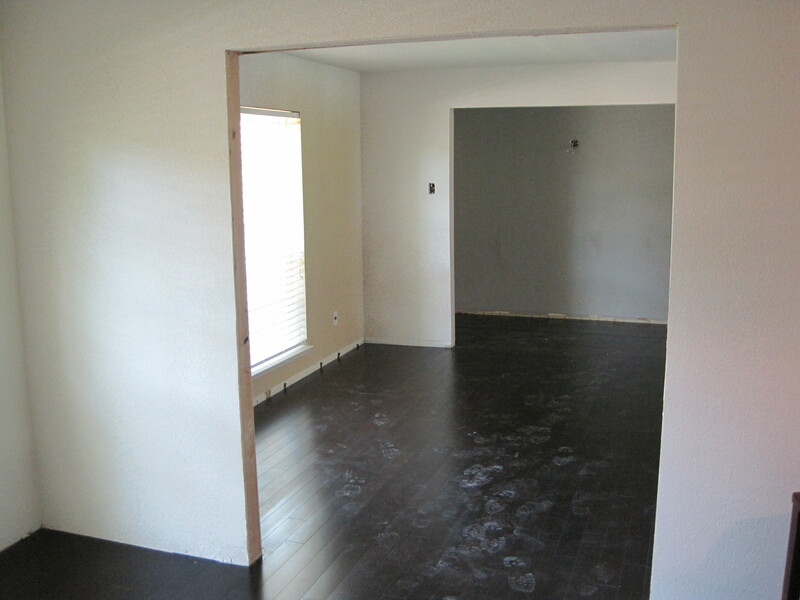 I felt like this was a waste of space, so we split the rooms up by adding a wall with french doors. We also ripped out the buckling vinyl flooring and put in real wood. 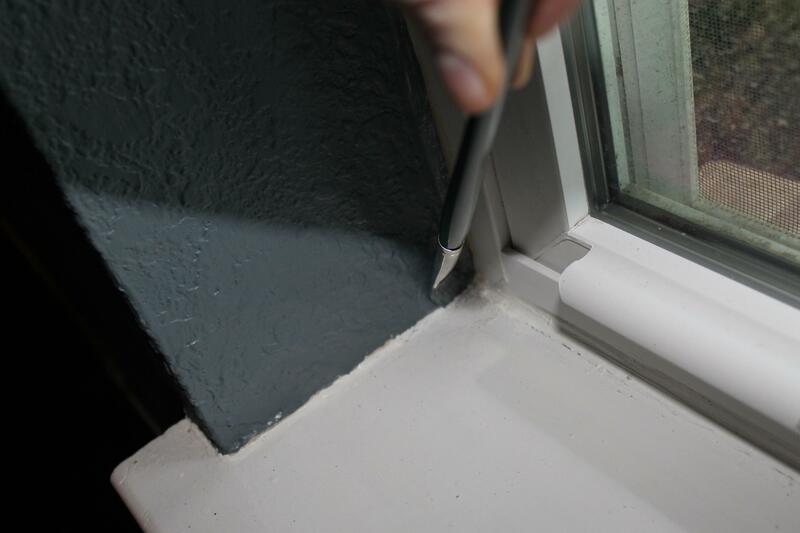 Here are a few pictures of the process before, during, and after. 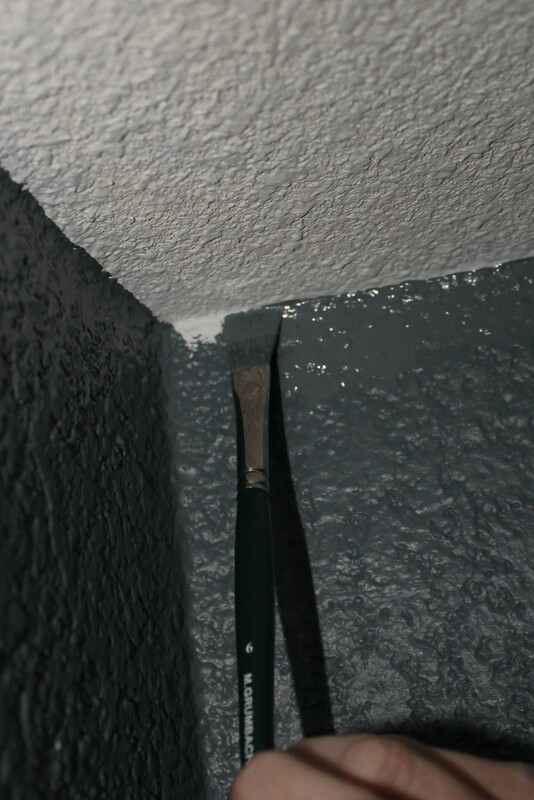 To get a nice sharp corner or for hard to reach places, use an ordinary paintbrush. 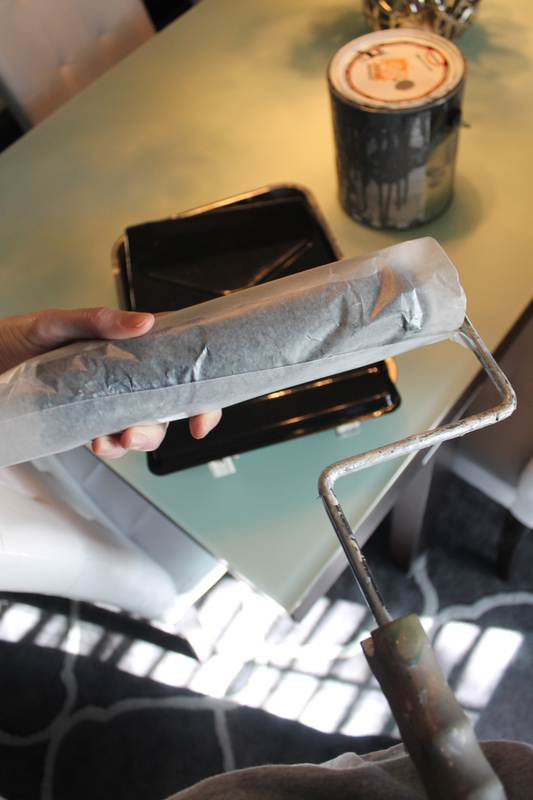 If you need to stop but haven’t finished rolling yet, cover the roller with plastic wrap, or wax paper and it will stay good for hours, even overnight. A sparkling chandelier contrasts the dark walls beautifully. My room still needs artwork to add a little color to this very neutral gray palate, and walls this dark are perfect for something bright. This is what I plan to hang in my dining room as soon as my husband finishes making its frame. 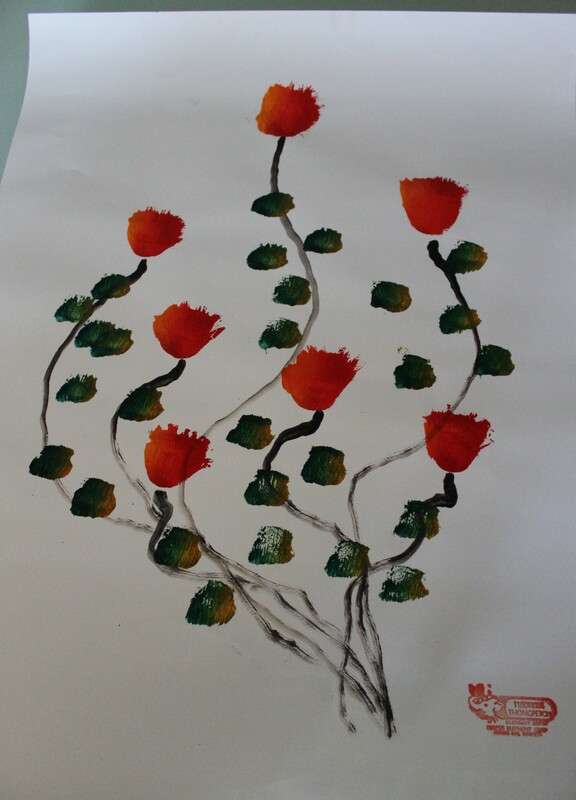 We got this painting in Thailand, because it was done by an elephant. Didn’t believe me? Here she is painting it. 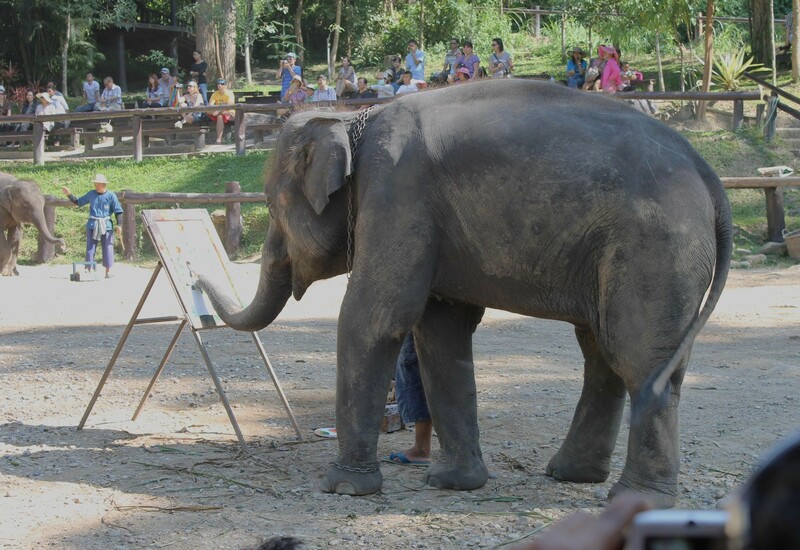 In the far left of the picture there is a baby elephant who is also painting a picture. Cutest thing ever. I love the dramatic dark walls as well. 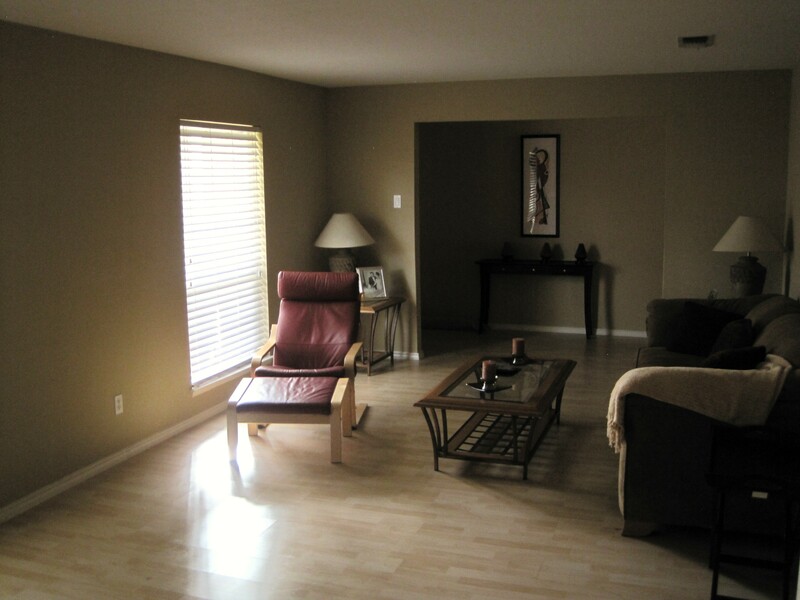 I painted my whole house in latte and then did my kitchen and bathroom in mocha–can you tell I like coffee =) The only thing I wished I had was recessed lighting or better lighting. Do you have any tricks other than lamps for the lighting issue with the dark walls? 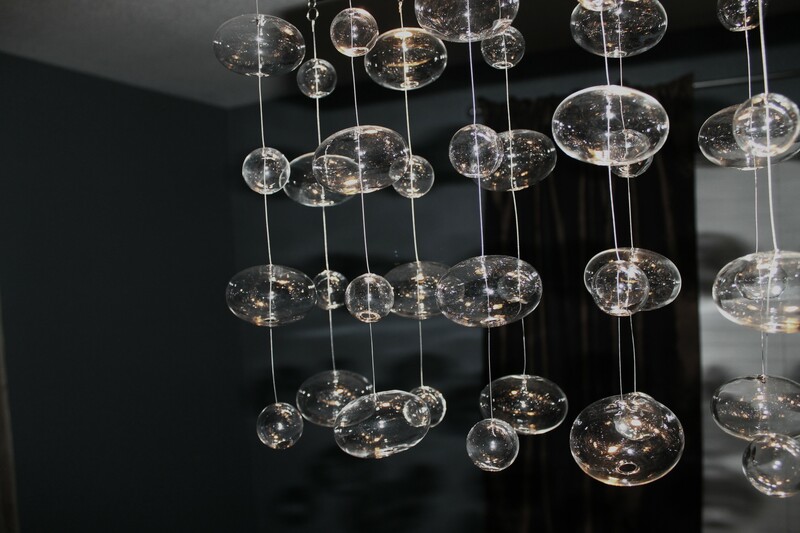 Great look for your dining room! And love the elephant painting! LOVE LOVE LOVE the chandelier and the dark walls. 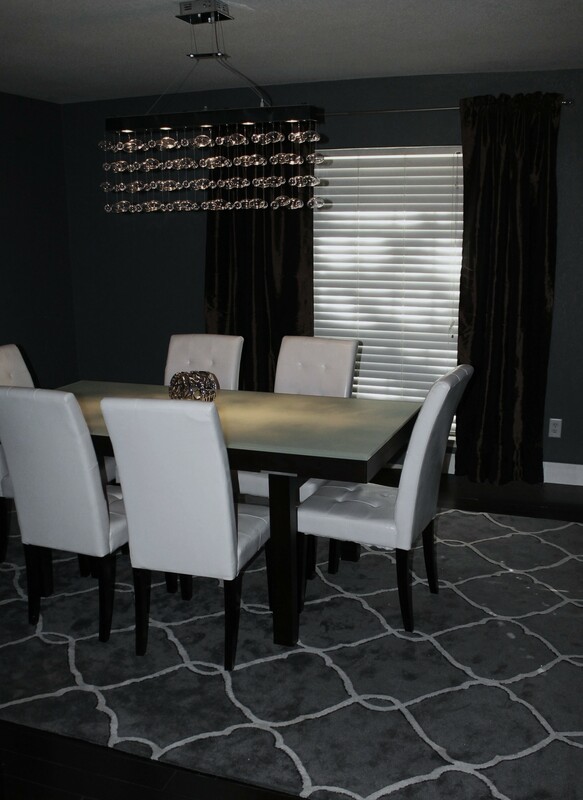 I was just telling someone how I thought a dark grey dining room would be perfection & here you’ve proved it! Thanks for stopping by my blog.